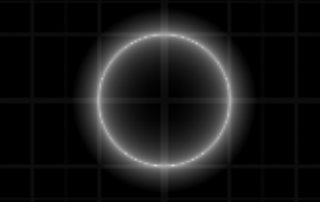 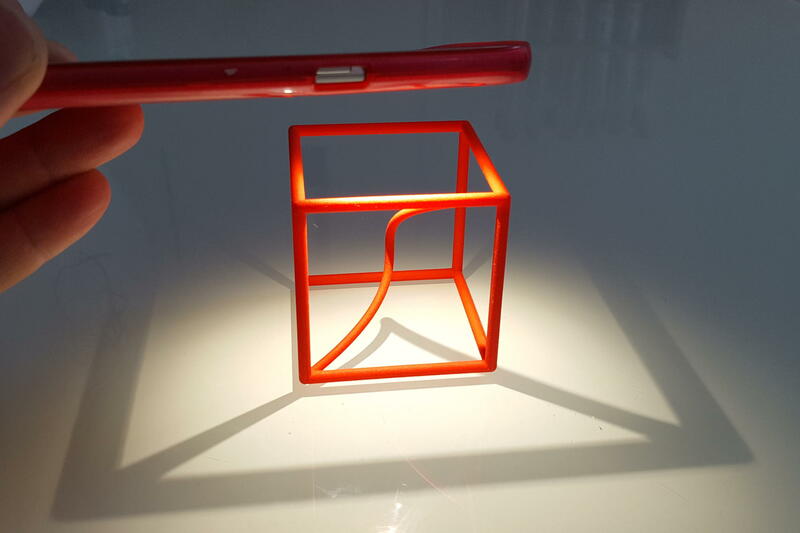 This post explains briefly how lines and circles may be described by equations. A particular focus are implicit equations which will play an important role in later posts in the category "equations and shapes" on math-sculpture.com. 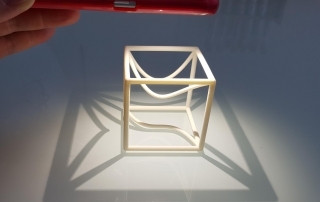 This space curve in a cube with projections (1b) is a math classic. 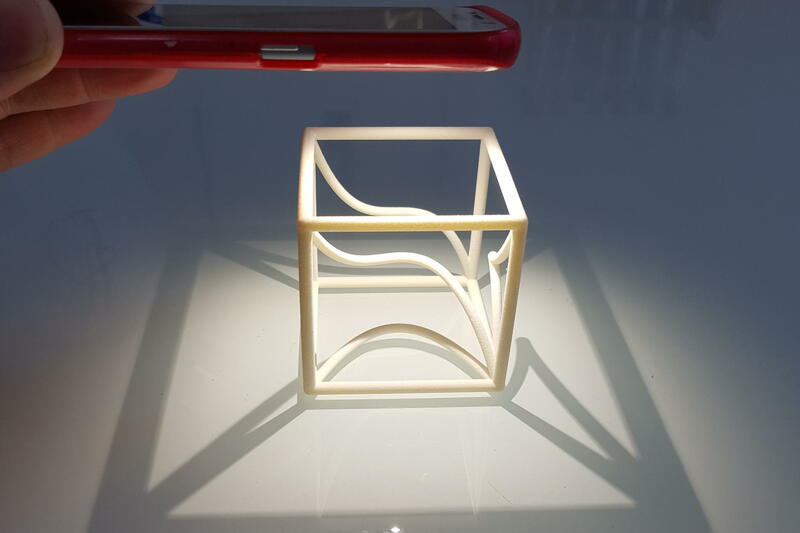 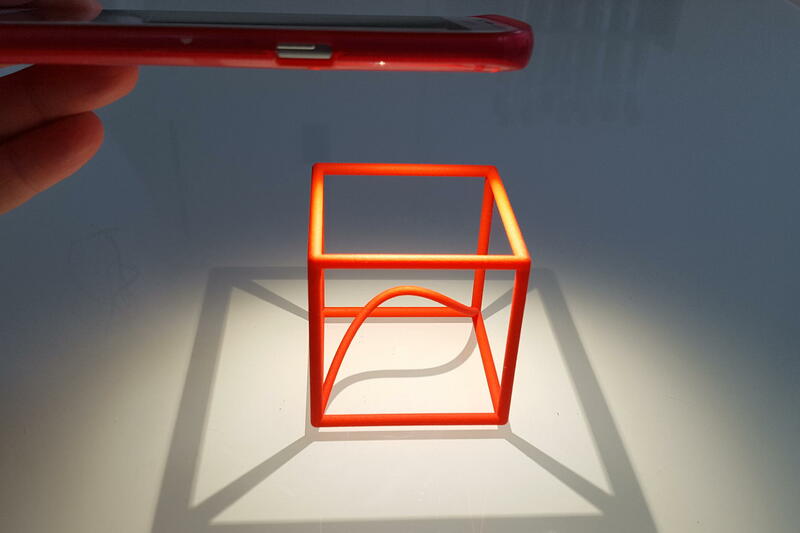 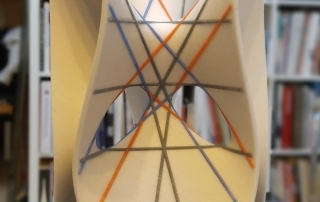 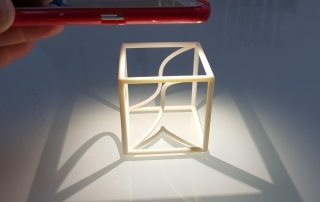 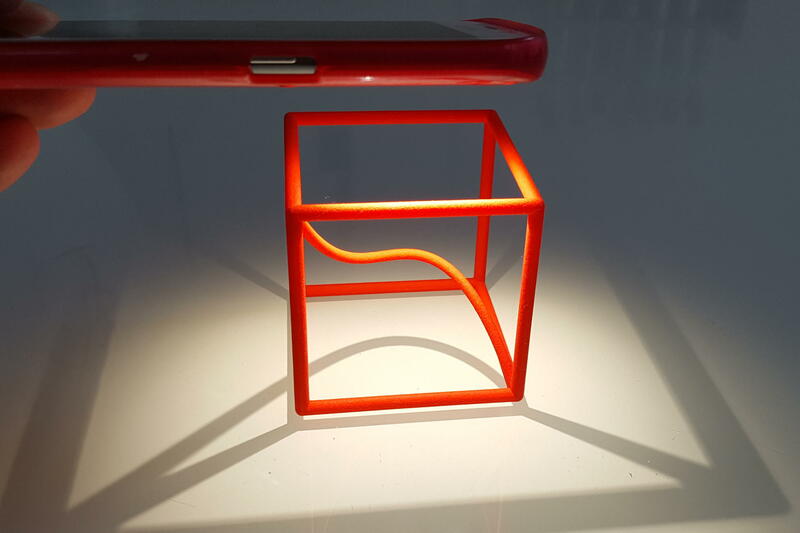 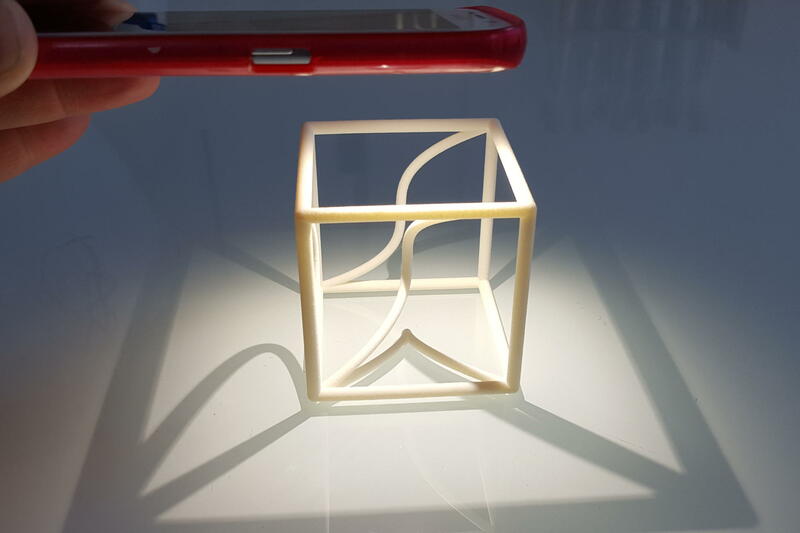 Use a torch to compare the projections of the space curve (in the center) on a plane with the 3d-printed ones. 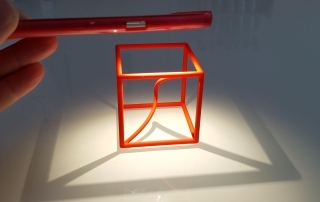 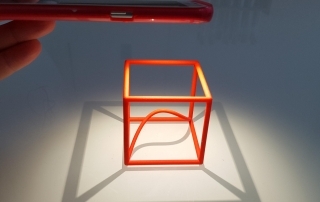 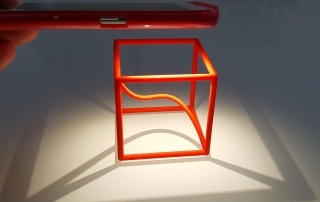 This space curve in a cube is a math classic. 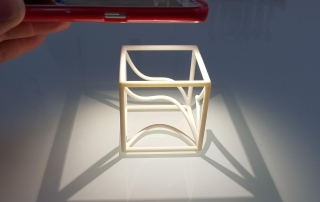 To view its projections on a plane, just take a torch (or your cell phone lamp).